Domestic flat roofs are normally covered with felt and have been for many years, some also have stone chippings or gravel in addition to help shield the felt from the sun, many people complain that it fills the gutter and gives moss a good place to grow and looks un-slightly. Over the years the felt becomes brittle with the sun and cold weather and makes it harder for the felt to cope with the expansion and contraction that takes place on the roof and then Cracks and Leaks. Sometimes these roofs can leak for a long period of time without any trace inside the property, this is because they are often laid over chipboard and it acts like a sponge soaking up the water and drying out again, this action can sometimes cause damage structural timbers. Insurance company statistics state that a felt roof has a average life span of 10-12 years, we feel that this factor alone makes traditional flat roof coverings a very short unpredictable lifespan, needing frequent repair or replacement. Over the years many good alternative systems have become available for flat roof replacement, we offer 3 tried and tested systems, Fibreglass Roofing System, we recommended for use on domestic properties, ideal for balconies as it can cope with a lot of regular foot traffic, Single Ply Roofing Membrane can also be used as a good alternative, Kemper Waterproofing Systems can sometimes be installed without the need to remove the existing covering depending on the condition of the roof decking. When replacing a flat roof and its over living accommodation ie the room below the roof is heated it is an ideal time to upgrade the insulation to current requirements, please see section on insulation on home page for more info. More details are given on all 3 systems at the bottom of the home page. So if you're looking for residential roofing contractors for your property, get in touch with Avant Garde Roofing today. 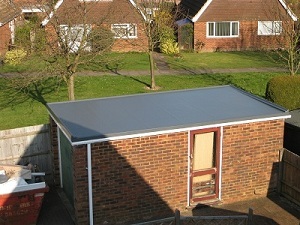 We are specialists for Flat Roofs for all requirements. 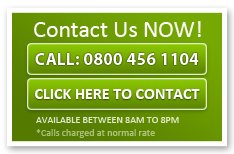 Give us a call today on 0800 456 1104.